To quote someone who sums up the intellectual times in which we live, Sarah Palin: “now is not the time to experiment with socialism” This, during the worse crisis since the 1930s! Anarchists would say that is precisely the time – but only as long as we are talking about libertarian socialism! Capitalism is in crisis (again!) and the failure of state socialism could not be more clear. Social democracy has become neo-liberal (New Labour? New Thatcherites!) while this year also marks the 20th anniversary of the collapse of Stalinism in Eastern Europe. With its state capitalism and party dictatorship, Stalinism made the disease (capitalism) more appealing than the cure (socialism)! In this anarchists should be feel vindicated – the likes of Bakunin predicted both these outcomes decades before they became reality. So there is an opening for a real alternative. For we must not forget that capitalism is but the latest form of economy. To Proudhon: “the radical vice of political economy, consists… in affirming as a definitive state a transitory condition, – namely, the division of society into patricians [a wealthy elite] and proletaires.” So we have seen slave labour, followed by serfdom, followed by capitalism. What is capitalism? As Proudhon put it, the “period through which we are now passing… is distinguished by a special characteristic: WAGE LABOUR” (“la salariat”, to use the Frenchman’s favourite term for it). Anarchism was not thought-up by thinkers in a library. Its origins, as Kropotkin stressed in his classic work Modern Science and Anarchism, lie in the struggle and self-activity of working class people against exploitation and oppression. We do not abstractly compare capitalism to a better society; rather we see the structures of the new world being created in struggle within, but against, capitalism. Thus the assemblies and committees created to conduct a strike are seen as the workplace organisations which will organise production in a free society. To quote the Industrial Workers of the World: Building the new world in the shell of the old. There are generally three different schools of anarchism (or libertarian socialism): Mutualism, Collectivism and Communism. Anarcho-Syndicalism is more a tactic than a goal and so its adherents aim for one of these three (usually, anarchist-communism, although Bakunin, who first formulated anarcho-syndicalist tactics, called himself a collectivist). In practice, of course, different areas will experiment in different schemes depending on what people desire and the objective circumstances they face. Free experimentation is a basic libertarian principle. While these three schools differ on certain issues, they share certain key principles. In fact, if someone claims something as “anarchism” and it rejects any one of these then we can safely say it is not anarchism at all. Bakunin summarised this kind of economy well when he stated that the “land belongs only to those who cultivate it with their own hands; to the agricultural communes… the tools of production belong to the workers; to the workers’ associations.” The rationale for decision making by these self-managed workplaces would be as different from capitalism as their structure. To quote Kropotkin, economics in a sane society should be the “study of the needs of mankind, and the means of satisfying them with the least possible waste of human energy.” These days we would need to add ecological considerations – and it is almost certain Kropotkin would have agreed (his classic Fields, Factories and Workshops has an obvious ecological perspective even if he does not use the term). Socialisation logically implies that there would be no labour market, simply people looking for associations to join and associations looking for associates. Wage-labour would be a thing of the past and replaced by self-management. This would be based on one member, one vote (and so egalitarian structures and results); administrative staff elected and recallable; integration of manual and intellectual work; and division of work rather than division of labour. While these principles underlie all schools of anarchism, there are differences between them. This system has markets. This does not imply capitalism, as markets are not what define that system. Markets pre-date it by thousands of years. What makes capitalism unique is that it has the production of commodities and wage labour.2 So this means that mutualism is based on producing commodities but with wage labour replaced by self-employment and co-operatives. This implies that distribution is by work done, by deed rather than need. Workers would receive the full product of their labour, after paying for inputs from other co-operatives. This does not mean that co-operatives would not invest, simply that association as a whole would determine what faction of their collective income would be distributed to individual members and what would be retained for use by the co-operative. It should be noted here that neo-classical economics argues that co-operatives produce high unemployment. However, like the rest of this ideology this is based on false assumptions and is, ultimately, a theory whose predictions have absolutely nothing to do with the observed facts. As well as co-operatives, the other key idea of mutualism is free credit. A People’s Bank would be organised and would charge interest rates covering costs (near 0%). This would allow workers to create their own means of production. Again, neo-classical economics suggest that there would be a problem of inflation as mutual banks would increase the money supply by creating credit. However, this is flawed as credit is not created willy-nilly but “rationed”, i.e., given to projects which are expected to produce more goods and services. Thus it would not be a case of more and more money chasing a set number of goods but rather money being used to create more and more goods! Lastly, there is the Agro-industrial federation. Proudhon was well aware of the problems faced by isolated co-operatives and so suggested associations organise a federation to reduce risk by creating solidarity, mutual aid and support. As all industries are inter-related, it makes sense for them to support each other. In addition, the federation was seen as a way to stop the return of capitalism by market forces. It would also be for public services (such as railways, roads, health care and so forth) which would be communally owned and run by workers co-operatives. Mutualism is reformist in strategy, aiming to replace capitalism by means of alternative institutions and competition. Few anarchists subscribe to that perspective. The next school of anarchist economics is collectivism, most famously associated with Bakunin. It is similar to mutualism, less market based (although still based on distribution by deed). However, it has more communistic elements and most of its adherents think it will evolve into libertarian communism. So it can be considered as a half-way house between mutualism and communism, with elements of both. As such, it will not be discussed here as its features are covered in these two. Like libertarian communism, it is revolutionary, considering that capitalism cannot be reformed. First, this is not like Stalinism/Leninism! That was state capitalism and not remotely communistic, never mind libertarian communist. Most anarchists are libertarian communists and the theory is most famously associated with Kropotkin. Unlike mutualism and collectivism, there are no markets. It is based on the abolition of money or equivalents (labour notes). So no wage labour AND no wages system (“From each according to their abilities, to each according to their needs”). These anarchists urge the abolition of money because there are many problems with markets as such, problems which capitalism undoubtedly makes worse but which would exist even in a non-capitalist market system. Most obviously, income does not reflect needs and a just society would recognise this. Many needs cannot be provided by markets (public goods and efficient health care, most obviously). Markets block information required for sensible decision making (that something costs #5 does not tell you how much pollution it costs or the conditions of the workplace which created it). They also systematically reward anti-social activity (firms which impose externalities can lower prices to raise profits and be rewarded by increased market share as a result). Market forces produce collectively irrational behaviour as a result of atomistic individual actions (e.g., competition can result in people working harder and longer to survive on the market as well as causing over-production and crisis as firms react to the same market signals and flood a market). The need for profits also increases uncertainty and so the possibility of crisis and its resulting social misery. Rather than comparing prices, resource allocation in anarchist-communism would be based on comparing the use values of specific goods as well as their relative scarcities. The use-values compared would be both positive (i.e., how well does it meet the requirements) and negative (i.e., what resources does it use it, what pollution does it cause, how much labour is embodied in it, and so on). In this way the actual cost information, more often than not hidden by the price, can be communicated and used to make sensible decisions. Scarcity would be indicated by syndicates communicating how many orders they are receiving compared to their normal capacity – as syndicates get more orders, their product’s scarcity index would rise so informing other syndicates to seek substitutes for the goods in question. Fine, it will be said, but that is just wishful thinking! Not true as the empirical evidence is overwhelming for libertarian economic ideas. For example, workers’ participation in management and profit sharing enhance productivity. Worker-run enterprises are more productive than capitalist firms. A staggering 94% of 226 studies into this issue showed a positive impact, with 60% being statistically significant. Interestingly, for employee ownership to have a strong impact on performance, it needs worker participation in decision making. Co-operatives, moreover, have narrow differences in wages and status (well under 1 to 10, compared to 1 to 200 and greater in corporations!). Unsurprisingly, high levels of equality increase productivity (as workers don’t like slaving to make others rich off their labour!). What about a lack of stock market? No real need to discuss how stock markets are bad for the real economy in the current cycle but suffice to say, they have serious communication problems between managers and shareholders. Moreover, the stock market rewards short-term profit-boosting over long-term growth so leading to over-investment in certain industries and increasing risk and gambling. Significantly, bank-centred capitalism has less extreme business cycles than stock market capitalism. The successful co-operatives under capitalism, like Mondragon, are usually in groups, which shows sense of having an agro-industrial federation and are often associated with their own banking institutions (which, again, shows the validity of Proudhon’s ideas). Then there is the example of various social revolutions around the world. No anarchist talk would be complete without a reference to the Spanish Revolution of 1936 and this is no exception. Yet we do so for a reason as this shows that libertarian self-management can work on a large-scale, with most of industry in Catalonia successfully collectivised, while vast areas of land owned and managed collectively. More recently, the revolt against neo-liberalism in Argentina included the taking over of closed workplaces. These recuperated factories show that while the bosses need us, we do not need them! So, with the desirability and validity of libertarian socialism sketched, the question becomes one of how do we get there. Obviously, one element of this would be creating and supporting co-operatives within capitalism (Proudhon: “That a new society be founded in the heart of the old society”) This could include promoting socialisation and co-operatives as an alternative to closures, bailouts and nationalisation. However, most anarchists see that as just a part of encouraging a culture of resistance, or encouraging collective struggles against capitalism and the state. In other words, encouraging direct action (strikes, protests, occupations, etc.) and ensuring that all struggles are self-managed by those within them and that any organisations they create are also self-managed from below. The goal would be for people to start occupying workplaces, housing, land, etc., and so making socialisation a reality. By managing our struggles we learn to manage our lives; by creating organisations for struggles against the current system we create the framework of a free society. We need a better vision than replacing capitalists with bureaucrats. This suggests that socialism would mean the end of bourgeois economics, which is little more than ideology defending capitalism and the rich, not a science… In fact, it would mean the dawn of economics as a genuine science. But before discussing anarchist economics, I will need to quickly cover non-libertarian alternatives. Historically, there have been two ways of looking at the problem of a socialist economy, both of which are wrong. The first is to provide detailed descriptions of the future society; the second is to limit yourself to short comments on socialism. The first socialists, the likes of Fourier and Saint-Simon, did present detailed plans and two things quickly become clear. The first is the impossibility of their perfect communities, the second is their elitist nature – they really did think they knew best and so democracy and liberty were not important in their visions of “socialism” (if that is the right word). Proudhon, rightly, attacked these systems as tyranny (which he termed “Community,” but is usually translated as “communism”). Regardless of the desirability or practicality of these visions, the underlying notion that we can produce detailed descriptions is false. Adam Smith, for example, did not present a detailed model of how capitalism should work, he described how it did work. The abstract models came later, with neo-classical economics to justify the current system. This reached its height in post-war economics, which saw economists producing irrelevant models based on impossible assumptions. Sadly, these have been and still are being used to impose terrible things on real economies and so real people. The other way of looking at socialist economics is associated with Marx. He wrote very little about socialism, undoubtedly in reaction to the Utopian socialists and their detailed plans. Sadly, his few scattered remarks on planning have proved to be the bane of socialism. The problem can be seen from his alternative to Proudhon’s market socialism in The Poverty of Philosophy, which amounted to just three sentences. It is a classic example of the fallacy of composition, only appearing to be feasible when you are discussing the economic relationships between two people as Marx did (his Peter and Paul). It is decidedly not feasible for an economy that has millions of people, products and workplaces within it. In such circumstances it is simply utopian, as would have been obvious if Marx had tried to explain how it would work! Marx quickly dropped the immediate (centralised) communism of The Poverty of Philosophy and The Communist Manifesto argued for a transitional period of state capitalism. This would be the basis on which “socialism” would be slowly introduced, a “socialism” built on capitalist structures and marked by centralisation. Yet this advocacy of central planning was based on a fallacy, an extrapolation from how capitalist firms were growing in size and replacing the market by conscious decision making on a wider scale. Yet under capitalism the decision-making criteria is narrow and Marx never questioned whether planning by large firms was only possible because it was based on one factor – profit. It is this reductionism within capitalism that makes it wrongly appear that centralised planning could work. Also, it seems strange that by some sort of happy coincidence that an economic and industrial structure forged by the criteria necessary for increasing the profits and power of the ruling few is perfect for socialism, a system which should meet the needs capitalism denies! As with neo-classical economics, these false ideas have consequences. During the Russian Revolution they provided the ideological underpinning for the Bolsheviks undermining the genuine (if incomplete) socialism of the factory committees in favour of the centralised industrial structures inherited from capitalism (the Tzarist Glavki) – with disastrous results both for the economy and socialism. So the Marxist perspective is flawed, a few sentences are not enough. We need to sketch out the future, based on analysis of modern society and its tendencies. This analysis and critique of capitalism does feed into positive visions. Today, we can only analyse capitalism, understand its dynamics and identify elements within it which point to the future. These two forms – objective tendencies within capitalism (such as large-scale production) and oppositional tendencies against it (such as unions, resistance, strikes). The last is key and what differentiates anarchism from Marxism, who generally stress the former. Thus we find Proudhon pointing to co-operative workplaces and credit during the 1848 revolution while revolutionary anarchists like Bakunin and Kropotkin looked to the labour movement. The latter, for example, arguing for “the workers, organised by trades…[to] seize all branches of industry… [and] manage these industries for the benefit of society.” And we can easily see how the strike assemblies, committees and federations fighting capitalist oppression and exploitation today can become the workplace assemblies, committees and federations of the free socialist economy of tomorrow. This perspective provides the necessary understanding of where socialism will come from, from below by the self-activity of the oppressed fighting for our freedom. This, in turn, shows how the basic structures of libertarian socialism will be the organs created by working class people in our struggles against exploitation and oppression. And it will take time. As Kropotkin stressed, anarchists “do not believe that… the Revolution will be accomplished at a stroke, in the twinkling of a eye, as some socialists dream.” This is particularly the case given the economic problems he rightly predicted a social revolution would face. So he was correct to argue that “were we to wait for the Revolution to display an openly communist or indeed collectivist character right from its insurrectionist overtures, that would be tantamount to throwing the idea of Revolution overboard once and for all.” And this can be seen from every revolution – even the Spanish revolution of 1936 and the collectives created by the members of the CNT which were not planned or desired by anarchists but rather a product of the specific circumstances of the time (not that Marxists seem aware of that, I must note!). So anarchist economics will develop after a revolution, as an anarchist economy evolves. Yet based on what has been said we can sketch its basics. Such an economy would see use rights, possession and socialisation replacing private and state property, with self-management of production (as Kropotkin constantly stressed, the workers “ought to be the real managers of industries”). There would be socio-economic federalism on the industrial, agricultural and communal levels along with user, interest and user groups. This would be a decentralised economy. As Kropotkin rightly argued, the “economic changes that will result from the social revolution will be so immense and so profound… that it will be impossible for one or even a number of individuals to elaborate the [new] social forms… [This] can only be the collective work of the masses.” This implies the need for free agreements (or contracts) between economic bodies based on genuine autonomy and horizontal links. Simply put, production needs decentralisation and so agreements between parties. A centralised body simply cannot know the requirements of specific needs that are inherently subjective (as value in use must be, by definition). It cannot know what criteria are needed in terms of needs to be met (positive use values) or the costs that are considered acceptable to meet them (negative use values). Nor can it know when and where goods are needed. If it tried, it would be swamped by the data – assuming it could collect all of it in the first place (or even know what to ask!). This applies for both individuals as well as workplaces and communities. As Kropotkin correctly predicted, the idea of a “strongly centralised Government… command[ing] that a prescribed quantity” of goods “be sent to such a place on such a day” and “received on a given day by a specified official and stored in particular warehouses” was both “undesirable” and “wildly Utopian.” A feasible and appealing socialism needs “the co-operation, the enthusiasm, the local knowledge” of the people. Such a system would be based on appropriate technology. Here I need to stress that anarchists are not opposed to large-scale industry and have clearly stated that since Proudhon onwards. Thus we find Kropotkin arguing that “if we analyse the modern industries, we soon discover that for some of them the co-operation of hundreds, or even thousands, of workers gathered at the same spot is really necessary. The great iron works and mining enterprises decidedly belong to that category; oceanic steamers cannot be built in village factories.” In a free society the scale of industry would be driven by objective needs, unlike capitalism where profits all too often foster a size not required by the technology. In addition, production would be based on integration not division. The division of work replaces division of labour with the combining of manual and mental work, industrial and agricultural labour. Agriculture and industry would co-exist together in free communities, giving people a wide range of labours and ending the division between order-givers and order-takers, the lucky few with interesting work and the many toiling away in unhealthy environments doing boring tasks. This, of course, implies the transformation of workplaces, their surroundings and work itself. Many seem to think that libertarian socialism will take over, and leave unchanged, the industrial structure and ways of working intact from capitalism – as if workers would do things in the same way after a social revolution! Again, all this is pretty much common to all schools of anarchism. The key difference is distribution – whether to base consumption on labour done or communism, the old deeds versus needs debate. It is fair to say that most anarchists are communists – not in the sense of the Soviet Union (I’ve seen apparently intelligent people suggest that!) but in the sense of “from each according to their abilities, to each according to their needs.” Ethically, most anarchists would agree with me that this is the best system, for reasons Kropotkin indicated so well and which I won’t attempt to summarise here. How quickly such a system can be reached has long been a moot point in anarchist circles, as have ideas on how precisely it will work. Suffice to say, a libertarian communist society will develop based on the desires of, and the objective circumstances facing, those creating it. Yet we can and must discuss some obvious issues with such a system today. Unlike mutualism, say, there are no prices. While the need for profits drives economic crises and adds to uncertainty under capitalism, it is fair to say that there are many problems with even non-capitalist markets. Yet market prices do guide economic decision-making as they reflect real costs such as labour, raw materials, time and so on (while ignoring, at worse, or hide, at best, many more) as well as reflecting changing productive situations (even if distorted under capitalism by monopoly, profits, etc.). This raises the obvious question how best to allocate resources without prices? This is not obvious. For example, gold and lead have similar use values so why use one and not the other? Markets (however badly) do that (gold being #100/kg and lead #10/kg makes which one to pick simple, although too simplistic). So a libertarian communist economy needs to inform people of the real costs and circumstances of production, without the distorting impact of markets. As Kropotkin suggested, “are we not yet bound to analyse that compound result we call price rather than to accept it as a supreme and blind ruler of our actions?” Thus “we [have to] analyse price” and “make a distinction between its different elements” in order to inform our economic and social decision-making. So we need to agree in the federal structures of a free society the guidelines used to allocate resources. For example, a weighted points scheme for the various factors in decision making could be created in order to have a cost-benefit analysis at each stage of creating a product (premised on previous decisions being right and costs communicated). This would reflect objective costs (the time, energy and resources needed), but what of supply and demand changes? This is an important issue, as a libertarian communist society will have to produce (supply) goods in response to requests (demand) for them. First off, it would be common sense that each workplace would maintain stocks for unexpected changes in requests in order to buffer out short-lived changes in production or requests. In addition, each workplace could have a scarcity index which indicates relative changes in requests and/or production and this would be used by other workplaces to look for alternatives – so if a given product cannot be supplied then the scarcity index would rise, so informing others that they should contact other workplaces or seek slightly different materials as inputs. Federations of workplaces would seek to monitor changes in both, in order to organise major investment/closures and large-scale projects – based on dialogue with community, special interest and user organisations and federations. Investment would be done on different levels, of course, with individual workplaces investing to reduce time to produce goods in order to get more free time for members (and so be a real incentive to innovate processes and productivity). The need for federalism rests precisely on the fact that different decisions need to be made at different (appropriate) levels. Ultimately, we have a self-interest in economic freedom. I have never understood how slaving for a boss can be held up as an example of selfishness yet that is what bourgeois economics does. As Kropotkin stressed, “production, having lost sight of the needs of man, has strayed in an absolutely wrong direction, and that its organisation is at fault… let us… reorganise production so as to really satisfy all needs.” And these are the needs of the whole person, the unique individual – as a “consumer” (user) of use-values, as a producer, as a member of a community and as part of an eco-system. These needs capitalism denies or partially meets at the expense of other, equally important, aspects of our lives. Unlike Marxists, we are well aware that our current economic structure is marked by the scars of the drive for profits within a class hierarchy. So while our short term aim is to expropriate capital and turn it to meeting human needs our longer term aim is to transform industry and the industrial structure precisely because we recognise what is “efficient” under capitalism cannot, regardless of what Lenin said, be considered as good for socialism. As I suggested earlier, anarchist economics will develop after a revolution, as an anarchist economy evolves. We cannot predict the end point, as our vision is impoverished by capitalism. All we can do today is sketch a libertarian society as it emerges from the abolition of class and hierarchy, a sketch based on our analysis and critique of capitalism, the struggle against it and our hopes and dreams. This is a write-up of my talk at the 2012 London Anarchist bookfair on Anarchist Economics. I was part of a panel which was inspired by the recent AK Press book The Accumulation of Freedom (to which I provided a chapter on Proudhon). It does not cover everything and the other panellists made points I should have included – as such economics not being separate from society in a free society (nor, for that matter, would the analysis of how goods are produced – although that is, I think, implicit in my talk). Suffice to say, on the day I did not quite manage to cover everything I wanted and so this write up reflects my hopes rather than exactly the reality! It should be noted that in academic economics this system is often called “syndicalism” or “market syndicalism”, which shows you that knowing little about a subject is no barrier to writing about it in such circles. If quoting Engels is not too out of place, the “object of production — to produce commodities — does not import to the instrument the character of capital” as the “production of commodities is one of the preconditions for the existence of capital… as long as the producer sells only what he himself produces, he is not a capitalist; he becomes so only from the moment he makes use of his instrument to exploit the wage labour of others.” (Collected Works, Vol. 47, pp. 179-80) In this, he was simply repeating Marx’s analysis in Capital (who, in turn, was repeating Proudhon’s distinction between property and possession). These can only be short introductions to the economics of anarchism. 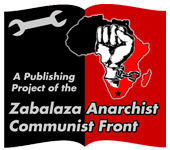 Section I of An Anarchist FAQ (volume 2) goes into the matter in more detail, covering subjects like self-management, socialism, what is wrong with markets, and the need for decentralisation. Section H of An Anarchist FAQ discusses the problems with the Marxist economic vision – in particular, Section H.6 should be consulted on the Bolshevik onslaught on the factory committees in favour of capitalist institutions (as Kropotkin noted at the time, we “are learning in Russia how not to introduce communism”). And for any propertarians reading this who object to my use of libertarian, suffice to say we (libertarian) socialists coined the word (and propertarians deliberately appropriated it)!